At home, I have a Dell netbook, an iMac, a MacBook, and an iPhone 3G. The iMac is in an office, the Dell is on a shelf somewhere, the MacBook is propped up next to the couch, and the iPhone 3G is in my pocket. At night after the kids are in bed, my wife and I start our computing tasks. She takes the MacBook and I go with the iPhone. Most of my time is spent in my apps but there is some browsing otherwise. It is an astonishingly capable general computing device: it's comfortable to just sprawl on the couch, holding the phone in one hand, and just tap-tap-tapping away. There's no fan and it never gets hot; it's fairly speedy given what I'm throwing at it; and it has a broad selection of apps that are very well-designed. There is something very intimate and intuitive about using your finger as a pointer. "I want to open that link." "Let's open that app." "Move to the next picture." It's no accident that most user interfaces in the science-fiction future involve access by voice, sight, and touch. 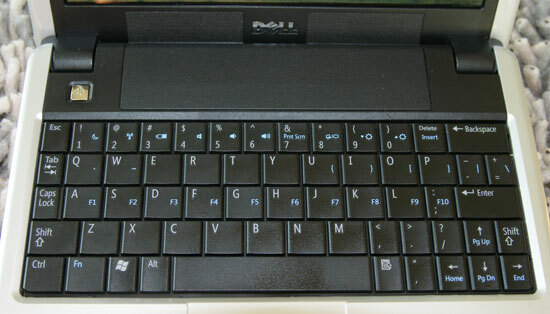 These input methods are in-born, always available (barring disease or defect), and natural. The reason why they were science fiction (and the science present was stuck in mice and keyboards) was because current technology just couldn't process the intention behind those methods quick enough to make them practical. Voices are inherently variable and muddled; touch is generally too soft to detect and materials too weak to withstand continual, harder pressing. Steve Jobs said that the iPad will offer the best browsing experience and I fully believe him. I even expect that I will become a fairly proficient typist using its virtual keypad. At this point, I am faster typing on my iPhone than I was on my old BlackBerry with a physical keyboard. It surprised me when I was able to compose a blog entry using the WordPress app and do a passable job at it. With the keyboard dock, this could easily become my main computing machine. The most revolutionary aspect of the iPad is the abstraction that it represents. Gone are files, windows, cursors, directories, and installers. The user of the iPad never has a sense of the computer within—this is enormously freeing for developers because they needn't worry about the detritus of computing. All he knows are applications, documents, and content. This is a machine for doing, not the relentless tweaking, customizing, and other time wasters. If this thing takes off (and I think it will), then it will spread throughout the computing ecosystem as much of Apple's recent work has led by example. Poo poo it all you want today, but five years from now this will be the dominant user interface out there. It is the Microsoft Surface for your hand and the possibilities that that entails are dizzying. Thoughts on the iPad was published on January 28, 2010 .